Paying for college can be tough for any student and their family, but for students who are attending school in Wyoming, it can be particularly difficult. The vastness of open spaces in the state, combined with the heavily rural population and severe weather, means that most students cannot commute and must pay for room and board on top of their tuition. Fortunately, there are a number of grants and scholarships available to ease the financial strain on Wyoming students. 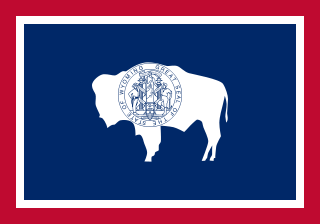 Wyoming offers great grants for higher education, giving everyone a reason to take interest. The main cause for people not returning to college is the inability to pay the high costs of tuition, which is why there are several grants that can help out. These educational grants don’t have to be paid back, meaning you only have to pay for a portion of your education, but you get the full reward in the end. As you begin your career, you will realize just how easy it was to return to school without having to worry about paying the high cost. 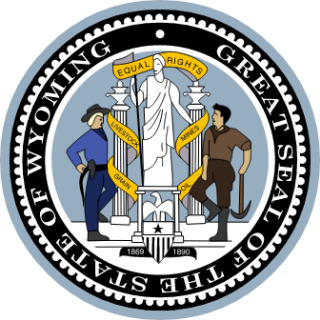 There are several Wyoming college grants that offer educational funding for various types of educational programs, giving all within the state to pursue the education of their choice. There are several more colleges participating, which can be found out by contacting the financial aid office. The application can be filled out online or through the financial aid office and the award amount can be up to $5350, depending on the actual need and tuition costs of the student. 1. Pell Grant: The Pell Grant is awarded to students attending any participating college or university, and can be as much as $5350 each year. The amount is based on financial need, and is only given to students who have a family contribution of $3850 or lower. Students should contact their college or university’s financial aid office to see if their school is a participating educational institution. For more information, students should see the Department of Education’s Pell Grants website. 2. The Elks Most Valuable Student Scholarship: This award ranges from $1000 to $15,000 and is awarded to any student pursuing a full time degree at any four year U.S. college. These scholarships are given on a four-year basis. To qualify, students must be graduating high school seniors and United States citizens. Awards are given based on student’s academic merit, student’s previous leadership skills and the student’s financial needs. Every year, 500 of these scholarships are given state wide. To apply, download the application from their website. 3. Academic Competitiveness Grant: This award is granted to Pell Grant recipients who are first time freshman and sophomores in a four year college. Students must also be U.S. citizens. For the first year of college, students are awarded $750 and for the second year, students are awarded $1300. In order to qualify, a Federal Application for Student Aid must be filled out. The Academic Competitiveness Grant has a website for students looking for additional information. 4. Federal Supplemental Education Opportunity Grant: This award varies depending upon need, but can be as much as $4000 per year. This award is given to undergraduate students who have extremely low Expected Family Contributions and who qualify for a Pell Grant. Students must be working on their first bachelor’s degree to qualify. The Federal Supplemental Education Opportunity Grant website has more information. 5. Educational Communications Scholarship: The amount of this award varies, and is awarded to graduating high school seniors based entirely on merit. To qualify, students must have high test scores on the ACT or SAT, an above average GPA, demonstrated leadership skills and previous work experience. Applications can be obtained through email by emailing the foundation at scholar@ecsf.org or by phone at 847-295-6650. 1. Superior Student in Education Scholarship: This scholarship is awarded to high school students living in Wyoming who plan to become teachers in public schools. This scholarship varies based on tuition and financial needs of the student. To qualify, students must also have a GPA 3.0 or higher, posses US citizenship, and plan to enroll in an accredited and participating two or four year college. The application materials must be turned in by October 31 of the year before the student will be enrolling in college. The application will include a transcript and test scores, and will be given to the financial aid office of the college or university that the student is planning to enroll in. Application materials can be obtained from high school counseling offices. 2. American Legion Auxiliary Health Care Scholarship: This $300 scholarship is awarded to students pursuing a health care career. To qualify, students must have completed two semesters in college with at least a 3.0 GPA. To apply, contact the secretary treasurer of the American Legion Auxiliary through their mailing address at PO Box 2198, Gillette, Wyoming 82717. 3. Coates – Wolff – Russell Memorial Mining Industry Scholarship: This $1000 scholarship is available to students in their sophomore, junior or senior year at any mining program. Interested students should download and complete the application by April 5. 4. Blue Cross Blue Shield Scholarships: The Blue Cross Blue Shield provides two separate $500 awards for students majoring in a career in the health care industry. To apply, students should contact their financial aid office. 5. Cohee Family/Wyoming Trucking Association Scholarship: This award gives $1000 to students who will be majoring in fields of business, sales, computer, management, diesel mechanics, accounting or office-related tasks. Contact the Wyoming Trucking Association by mail in order to apply at PO Box 1901, Casper, Wyoming 82602. Students should contact them early enough to make the March 5 deadline. 6. DECA Scholarship: These awards are given based solely on the student’s financial need. Qualified applicants need to be active members of the DECA, which is the association for students in marketing and management. More information on the multiple scholarships given by the DECA can be found on the foundation’s website. 7. Wyoming FCCLA Scholarship: This annual $400 award is given to graduating seniors who are majoring in family consumer sciences. To apply, students should contact Patty Micheli at the Wyoming FCCLA by phone at 307-782-3897. 8. Future Homemakers of America Scholarship: These two annual scholarships award $200 to each student. To qualify, students must be graduating seniors and must be planning on majoring in family consumer sciences. To apply, contact the Wyoming branch of the Future Homemakers Association by mail at 2300 Capitol Avenue, Cheyenne, Wyoming 82002. 9. Margaret L. Hageman Scholarships: The amount of this award can vary, up to $600 for a semester. Students must be pursuing a career as in the nursing field, either as a registered nurse, or as registered nurses who are going back to school to advance their career. Contact the Wyoming Nurses Association for more information, by mail at 1603 Capitol Avenue, Suite 305, Cheyenne, Wyoming 82001. 10. University of Wyoming Subject Based Grants: These grants are given on a competitive basis and range in award amount and requirements. Interested applicants must be attending or planning on attending the University of Wyoming. Information on specific requirements from each of the departments can be obtained through the university’s website. 11. National SMART Grant: This grant awards $40000 each year for the junior and senior students who are majoring in life or physical sciences, mathematics or computer science. To qualify, the students must be a full-time student, have a 3.0 or higher GPA and be enrolled full time. Applications should be available through the school’s counseling or financial aid office. 12.TEACH Grants: These grants provide up to $4000 each year for students who plan to teach in a public or private school that serves a low-income population area. Recipients must teach for at least four years in the low-income housing area, or their grant money will change into a loan that must be repaid. Qualifying majors include: bilingual education, foreign languages, math and sciences and special education. For more information on how to apply, consult the TEACH grant website. 1. Douglas Memorial Scholarship: This scholarship has a minimum award of $500 and is dependent upon the prospective student’s financial need. To qualify for this scholarship, the student must be 18-22 years old and a first generation American. The funds from the scholarship must be used during the student’s freshmen year and can only be used at a public college in Wyoming. 2. Northern Arapaho Tribal Scholarship: Students must be able to prove their membership in the Northern Arapaho Tribe in order to receive this scholarship, which is based on both need and merit. The application process must also prove that the student has a long term career goal in mind, and a course of study prepared to meet that career goal. 3. Shoshone Tribal Scholarship: Students must prove they are members of the Shoshone Tribe and enroll in a state college or university in order to qualify for this scholarship, which is based entirely on need. In order to renew the scholarship, students must continue to hold an average GPA. 4. Basin Electric Power Cooperative Scholarship: Each year, Basin Electric Power Co-op awards 21 $1000 scholarships to children of their full time employees. Students can only win this award once, and deadlines fall in the middle of March. To apply, contact the Basin Electric Power Co-op’s human resource division by phone at 800-242-2372. 5. E.A. Blackmore Scholarship: The American Legion grants this single $1000 scholarship to a child or grandchild of any of their members. To qualify, the member must be in good standing at the time of application. To apply, students should contact their nearest Legion post. 6. HOPE Scholarships: This award, which stands for Hispanic Organization for Progress Educational Scholarship, awards scholarships of variable monetary amounts to students who are of Hispanic heritage. Qualified applicants can contact the scholarship chair via mail at PO Box 3194, Cheyenne, Wyoming 82003. 7. Douvas Memorial Scholarship: Another scholarship available for Wyoming college students, this scholarship is awarded to first-generation Americans that are between the ages of 18 and 22. The scholarship must be used within a Wyoming public higher education institution enrolling for freshman year. The funding award is a minimum of $500, depending on financial need for the tuition and materials costs. 1. Lael Harrison Memorial Scholarship: The amount of this award varies. It is awarded to newly graduating seniors in high school who attend the University of Wyoming or any of the state community colleges. To apply, contact the state 4-H office. 2. Jason Haight Academic Scholarship: This annual $750 non-renewable scholarship is given to graduating students of Campbell County High School who have a current GPA of 3.0 or higher. Application materials can be gained by emailing the Wyoming Community Foundation at wcf@wycf.org or by phone at 1-866-708-7878. 4. University of Wyoming General Scholarships: Each year, the University of Wyoming hands out a variety of scholarships which do not require any application, beyond the filing of a FAFSA. These scholarships are given based on financial need to students with a 3.5 GPA at the time of their application. Resident Transfer Scholarships, which grants funds to transfer students living on campus. Non-Resident Freshmen Scholarships, which provides funding for first time freshmen who do not live on campus. International Freshmen Scholarships, which allocates funds to international students. Western Undergraduate Exchange Scholarships, which grant money to students from participating western states. 6. Carr, Fred and Joan Nursing Scholarship: The award amount varies, but is based on financial need and awarded to a student attending Casper College, who is enrolled or planning to enroll full-time as a nursing student. Qualified applicants will have a GPA of 2.5 or higher and complete a written statement detailing why they have a financial need for the scholarship. For application instructions, students should contact the Casper College financial aid office. 7. Mark Collins Nursing Scholarship: This award primarily supports male nursing students enrolled full-time at Casper College and varies in award amount, based on financial need. Students should have at least a 2.5 GPA and be willing to submit a written statement detailing their career goals and why they have chosen to be a nurse. For detailed application instructions, students should contact the nursing department or financial aid office of Casper College. Stanley Lowe & Anne Family Scholarship, which grants funds to non-traditional nursing students. Ron Lund Scholarship, which provides funds to radiography students. Henrietta Neighbor-Pousada Scholarship, which awards money to health care majors. Zula Safford & Deryl Scholarship, which benefits students majoring in education, nursing, agriculture or accounting. Cathy Jean Vlastos Scholarship, which assists students in the radiology department with monetary need. Jean Wheatley Scholarship, which is available to students who are majoring in physical education. Mary Wingy Nursing Scholarship, which allocates funds to pre-nursing and nursing majors. 9. Additional resources: Students planning on attending any college in Wyoming should contact their school’s financial aid office for details on school-specific grants and scholarships. Many awards are not publically advertised and information can only be obtained through the school’s financial aid office. 1. Goshen County High School Scholarship: This $300 award derives its proceeds from the Goshen County’s annual Pig Wrestling Contest. The award is given to Goshen County High School seniors who will be freshmen at a college or university in the fall. Students who have participated in 4-H programs are especially encouraged to apply, though you do not have to have participated in 4-H to win the award. To apply, contact the Madden Brothers at 307-532-7079. 2. Albany County Scholarship: Two $800 awards are given to Albany County residents who are planning on attending any college or university and is not restricted to colleges within the state of Wyoming. Applications must be sent in by March 1st oand can be obtained by contacting the school counselor or the county extension office. 3. Riverside High school Scholarship: Though it is not given every year, Riverside High school sometimes awards a $300 scholarship to one of their graduating seniors with funds obtained from the Basin Lions Club. To apply, contact the high school guidance counselor. 4. Bonneville Transloaders Scholarship: Bonneville Transloaders, Inc provides this scholarship, which grants $1000 to graduating high school seniors in the county of Fremont and Sweetwater. The deadline for the scholarship is May 1. Interested applicants should contact the scholarship committee by mail at 642 South Federal, Riverton, Wyoming 82501. 5. Carbon Power and Lights, Inc. Scholarship: These six annual awards provide $1000 to each student. Students are eligible if they are graduating seniors who live in the Carbon Power and Light, Inc. area of certification. Interested applicants should apply by contacing Carbon Power and Light, Inc by mail at PO Box 579, Saratoga, Wyoming 82331. Students may also contact their school’s counseling office for more information. 1. Robert C. Byrd Honors Scholarship: This scholarship is worth $1500, can be renewed, and may be used at any two or four year college or university. Qualifications are based on the student’s academic achievements, and to win this scholarship, the student must have an outstanding academic record of at least a 3.8 GPA. High school students must apply by spring of their senior year by mailing their application to their high school guidance counselor. The guidance counselor’s recommendation is needed to apply, along with a transcript, test scores and a written essay. 2. King-Livingston Scholarship: This scholarship awards $750 to a college student attending an undergraduate or graduate program at any Wyoming university. To qualify, students must also be a member of the Wyoming Farm Bureau. 3. Farm Bureau Federation Scholarship: This scholarship provides $500 every year to five college undergrads or graduate students who are members of the Wyoming Farm Bureau and who are attending a college in the state of Wyoming. Applicants should contact their university’s financial aid office. 4. Vietnam Veterans Award: The amount of this award varies each year. It is awarded to undergraduate college students who are veterans of the Vietnam war. To apply, students should contact their local Veterans Affairs office or their college’s financial aid office. 5. The Davis-Roberts Scholarship: This provides twelve different scholarships, averaging $350 a piece, to current or former members of the Wyoming DeMolay or Jobs Daughters Bethel. Interested students should contact the scholarship fund by mail at PO Box 1974, Cheyenne, Wyoming, 82003 in time for the June 15 deadline. 6. Elks National Foundation Legacy Awards: These scholarships come in the form of $1000 paid for four years. Eligible students are graduating high school seniors who are children or grandchildren of a current and living Elk member in good standing, who joined the Elks prior to April 1, 2009. The deadline is February 1 and the application must be filled out online at their website. 7. Elks National Foundation Emergency Educational Grant: These grants range in monetary amounts, up to $4000, are based entirely on financial need of the student and are renewable. To qualify, the student must be the child of a disabled or deceased Elk. If the parent is deceased, he or she must have been a member in good standing at the time of her death. If the parent is disabled, the parent must continue to be in good standing as a member during the student’s application process. More information is available on the Emergency Educational Grant website. 8. Grand Lodge Masons of Wyoming awards: The Grand Lodge masons provide a number of scholarships to current first, second, third and fourth year students at Wyoming colleges. Contact and application information can be obtained by calling the Grand Lodge of Wyoming Masons at 307-234-2692. 9. Hathaway Scholarship: This award provides merit scholarships of $800 to $1600 per semester for students based on academic achivements who plan to attend the University of Wyoming or any Wyoming community college. The scholarship provides needs-based awards in addition to cover the financial needs of students. For more information on the scholarship and to calcuate eligibility, contact any high school guidance counseling office or consult the Hathaway Scholarship Calculator. Whether you are looking for a grant or scholarship, you are able to receive free money just to improve your education. You don’t have to sit by and watch everyone else do better when you are waiting on your chances. You can take your chances, whether graduating high school or returning to school after a few years. Check out your options so you could be the next college graduate you know. I am from Salisbury Maryland and am looking to relocate to or around Laramie to attend LCCC. However I am doing some research for grants and scholarships and didn’t know if perhaps there was a specific grant that could help for out of state students. I’m also looking into grants for out of state students.